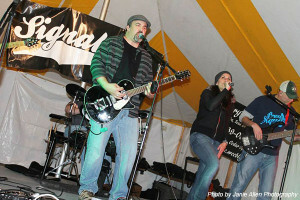 Signal Trip, a local band, was one of the performances. The second annual Founders Day weekend, put on by the Cedar Springs Area Chamber of Commerce last weekend, had a little something for all ages, and helped everyone know just a little bit more about the history of Cedar Springs. It kicked off with a children’s street fair under tent at Main and Ash Streets Friday from 4-7 p.m., with balloons, carnival games, animals, face painting, story time, a magician, a model train set, and loads of fun. 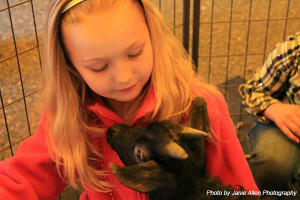 The event was put on by Double K Farms and 4H. 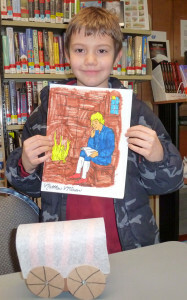 On Saturday, March 29, kids gathered at the library for pioneer storytime and did pioneer crafts; the Cedar Springs Historical Museum was also open for tours. The tent was reopened from 4 to 10 for free concerts by two area bands, and good food and local craft beer and hard cider was available to purchase. 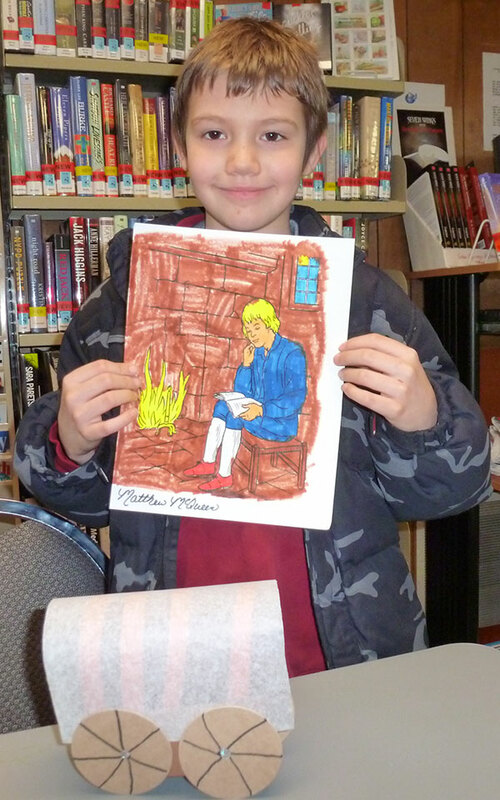 Matthew McQueen shows off his crafts he made at the Library. He said he had positive feedback from the events at the library and museum, and that the children’s street fair would become a permanent addition to the event. “Next year they will have more time to plan for it,” he said. One thing that added to the comfort level this year was that the tent was enclosed and actually felt heated. “It really made a big difference,” he said. Kiphart noted that they are always looking for new ideas, and would welcome other community groups to join them in planning for Founders Day next year. “If anyone has an event they would like to do, it doesn’t have to be on Main Street. We would put it under our umbrella and get the advertising out for it,” he said. 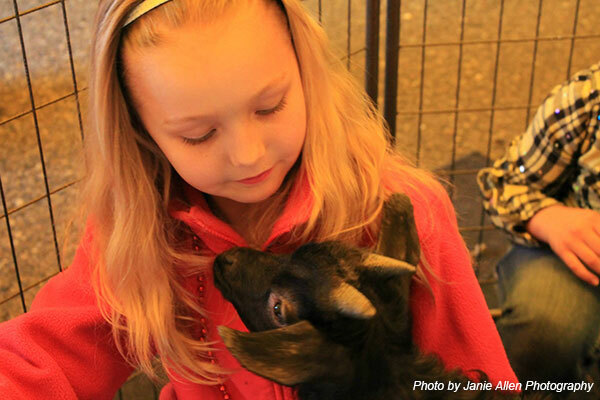 You can reach Kiphart at shawnkiphart@csacoc.com or (616) 773-5126.